We’ve got the very latest electronic devices, appliances and gadgets up for grabs in this category. Enter one of our prize draws for you chance to win free prizes! 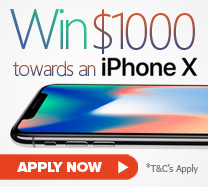 To celebrate the launch of the new iPhone x we are giving one lucky user the chance to win $1000 towards the most advanced iPhone yet! Don’t miss out! This is your opportunity to win $500 to spend at The Good Guys. As one of Australia’s top stores, The Good Guys gives shoppers a great variety of products and all at great prices! 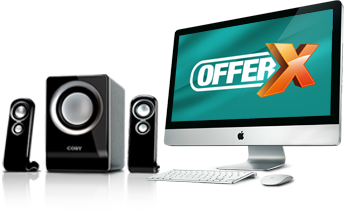 With a wide selection of products, you’ll find everything you need for your family and your home; home appliances, computers, tablets, TVs and much more! 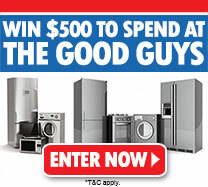 Enter today and you could be enjoying a spending spree for free at The Good Guys!